Truly one of kind, must have for any Dale Jr. Fan. 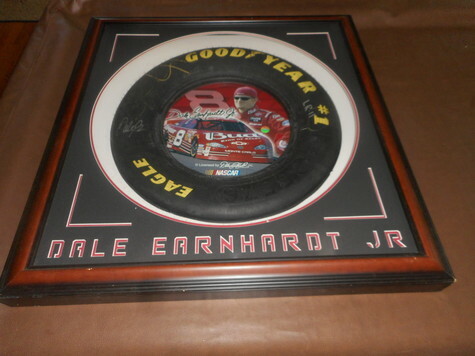 Framed cut section of tire, and signed by Dale Jr. Beautiful frame. Heavy item. Few scratches on frame.